Our objective is to contribute to developing international and interdisciplinary studies on the third sector organizations including nonprofits and social enterprises and public management and governance including public private partnerships. In addition, we aim to develop the third sector and promote comprehensive partnership among different actors such as third sector organizations, public institutions, businesses and universities. In recent years, we are engaged in international comparative research on social impact bonds with using government research funding. The Institute of Nonprofit and Public Management Studies (INPMS) is one of research units for studies on specified fields which are accredited as formal research groups by Meiji University. INPMS was set up in March of 2006. INPMS is not just one research unit within Meiji University but one of leading research centers of nonprofit and public management in Japan. 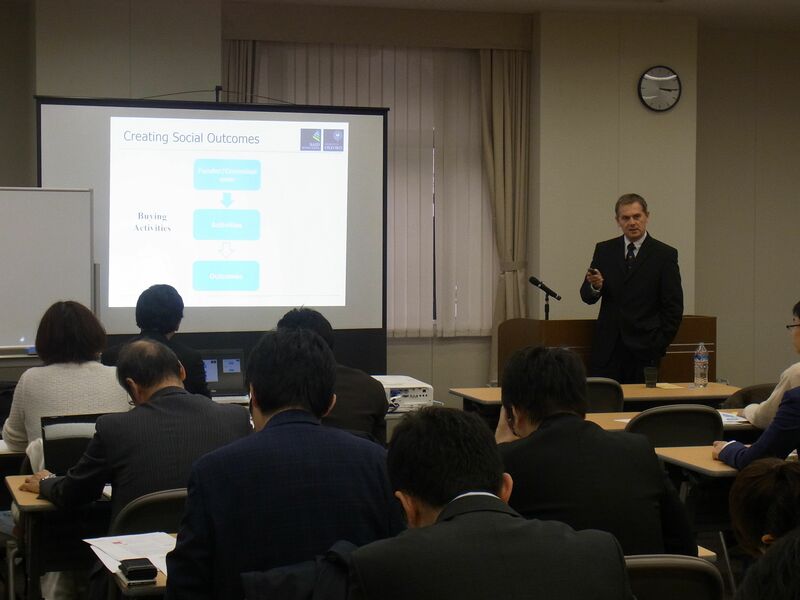 We have been engaged in theoretical, qualitative and quantitative studies on nonprofit organizations and public private partnerships in Japan. We have also developed international collaborative research with eminent scholars in the US, UK, Australia and South Korea. Copyright (C) 2010-2012 Meiji University INPMS All rights reserved.